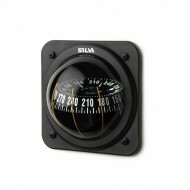 The Silva 85 Regatta compass is designed for small and fast dinghies where speed and accuracy are paramount. 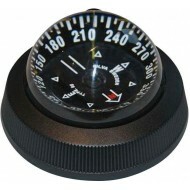 It is a deck mounted compass, so no need to make big holes in your deck, and most commonly you would see two 85 compasses set up together, one on each rail. 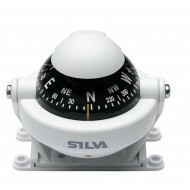 The Silva 85 Regatta Compass.. 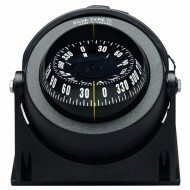 The 85 is a very stable compass, flush mounted with a flat bottom. No need for drilling large holes. 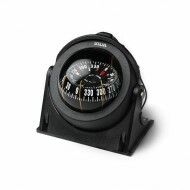 The 85 model also has a memory ring for setting a desired course. 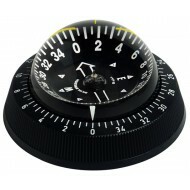 The construction of the compass card makes the 85 very well dampened and suitable for high speed and rough conditions. Fea.. The 100NBC/FBC with a solid bracket and flush mounting flange permits various mounting alternatives, even on the headlining. Adjustable illumination in the protection cover. The NBC/FBC model has a built in compensator Features Card Graduations: 5.0 Degrees Compensators: Integral Back lighti..